Chinese scientists have recently developed satellites capable of detecting submarine activity targets at a depth of 500 meters above sea level. 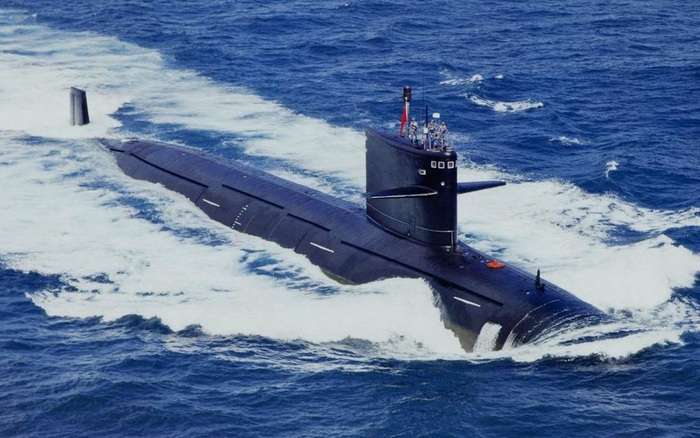 The SCMP news reported recently that Chinese scientists have developed a type of satellite that uses laser technology used in anti-submarine warfare, believed to be able to detect targets under the sea. 500m, the maximum depth that most military submarines in the world can reach. This is the latest research project under Beijing’s deep sea surveillance capacity building program. In addition to detecting submarines, the satellite will also be used to collect ocean data in all waters of the world. The project called Guanlan was launched in May at the National Marine Science and Technology Laboratory in Qingdao and Shandong island. Song Xiaoquan, a research project participant, said if the team of scientists could develop satellites as planned, it would make the upper layer of the ocean “more or less transparent”. ‘That will change almost everything,” Song said. According to scientists, light in a water environment is blurred 1,000 times faster than in the air and the sun cannot penetrate the depth of more than 200m below the surface of the sea, while an artificial laser beam has a capacity High may be a billion times brighter than the Sun. This is an ambitious project. Because for more than half a century, naval researchers around the world have tried to develop a laser beam to hunt submarines using technology known as Lidar. Theoretically, Lidar technology works as follows, when the laser beam hits an object like a submarine, some pulses of light are bounced back. Then, they are collected and analyzed by sensors to determine the position, speed and 3D shape of the target. However, in fact, Lidar technology can be affected by the limitation of equipment capacity or objective conditions such as clouds, fog, dark water or even marine creatures like whales. Besides, the laser beam can also be deflected and dispersed when it moves from one water body to another.